We are cleaning custom window treatments and Hunter Douglas silhouette shades for a customer in Madison today. 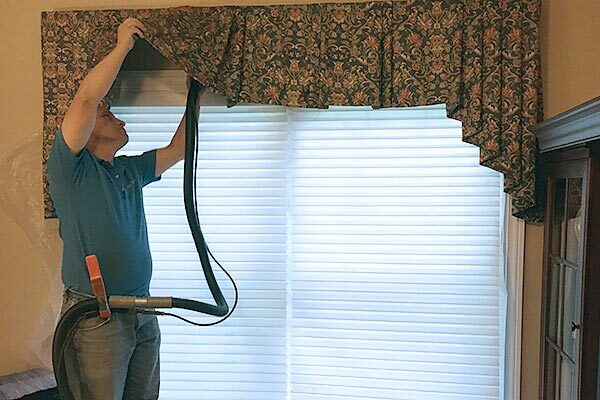 Board mounted valances can be a project to take down and your dry cleaner can’t clean them in a traditional dry cleaning plant, so we dry clean them right in place. First we put up a sheet of plastic to protect your walls, then vacuum the treatments, and finally we clean them with a dry cleaning solution. 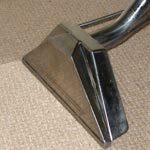 To learn more about our cleaning services visit absolutebestcleaner.com or call us at 203-245-4427.